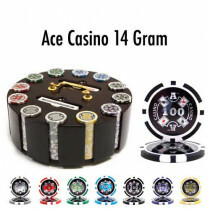 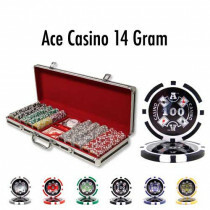 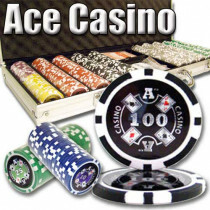 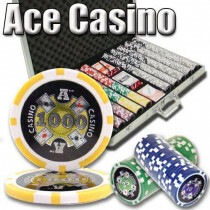 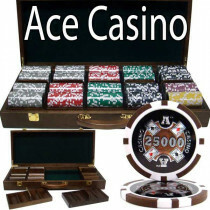 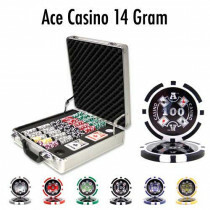 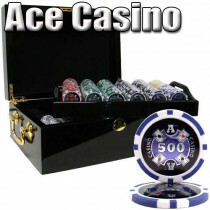 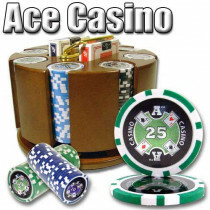 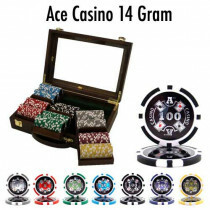 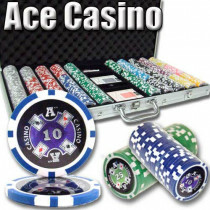 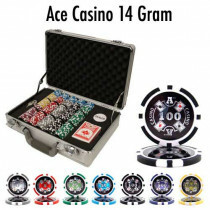 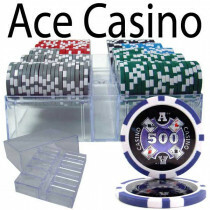 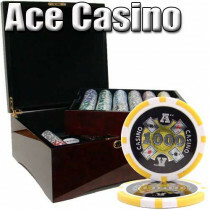 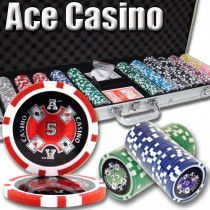 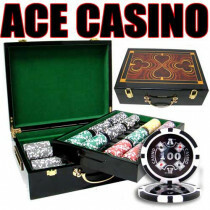 One of our more popular models, the Ace Casino poker chips feel as good as they look. 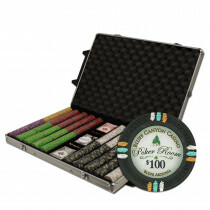 Made from a casino quality clay composite material, these chips weigh in at a hefty 14 grams. 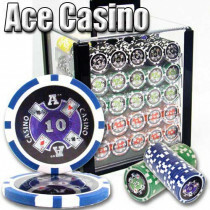 They feature a sparkling laser graphic insert depicting the four aces around the denomination printed in the center. 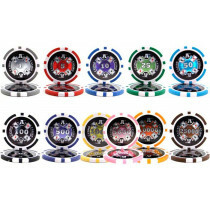 If you change between cash games and tournament play, you'll love these chips. 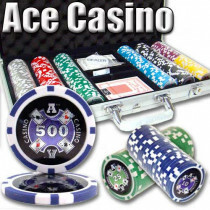 The denominations do not include the dollar sign ($), so the chip values can be anything you want them to be.